I am excited to bring back my exploring new studio posts now that I have the twin cities to explore! My first stop was at a spin studio very close to my new home called, Surge Cycling in Maple Grove, MN. 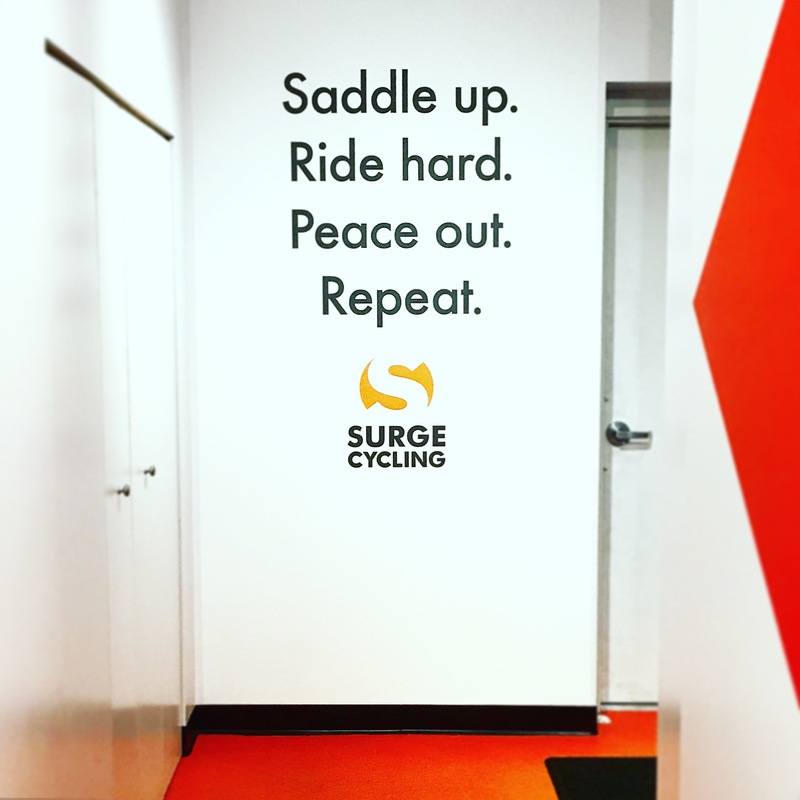 Surge Cycling also has a second location in St. Louis Park, MN a little closer to Minneapolis for those living in the cities. 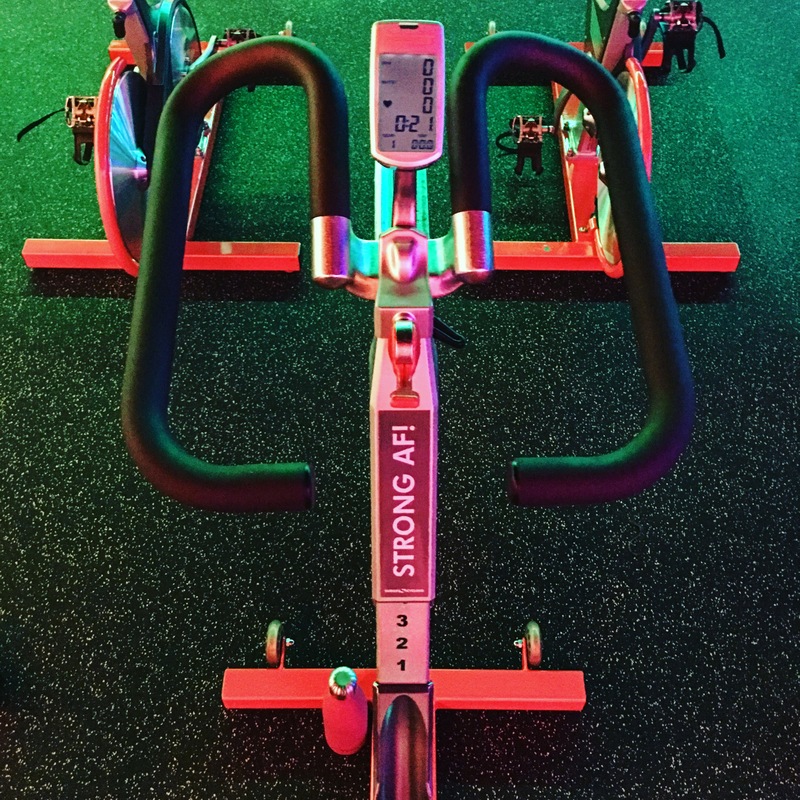 My fiance, Justin and I were eager to get a good workout after too many days of moving chaos, so we searched around for a good spin class and ended up signing up for the 6 am Surge Jolt class at Surge Cycling. When we arrived the amazing instructor, Sarah, welcomed us, gave us a quick tour, and then showed us inside the studio room to get us set up on the bikes. Surge uses the new Keiser M3 Plus Indoor Cycle bikes, which I had never experienced before. The bikes use magnetic resistance, offering a very smooth, quiet and effective ride. The class was 45 minutes long, filled with hill intervals and sprints, making for a very sweaty start to the day. The Surge studio goes basically dark and then the room quickly fills with colored lights guiding the pace while the music gets loud and keeps you on beat. Justin and I left drenched in sweat and were very excited to find such a great spin studio so close by! Surge definitely sets the bar high as I start exploring my way through the Twin Cities..